Houston Rockets Associate Head Coach Jeff Bzdelik announced his retirement following over four decades of coaching, including 21 in the NBA. Bzdelik joined the Rockets prior to the 2016-17 season with his focus on improving the team’s defense. According to NBA.com, the Rockets ranked third in the NBA in defensive rating over their final 45 games last season on their way to recording a franchise record 65 wins. 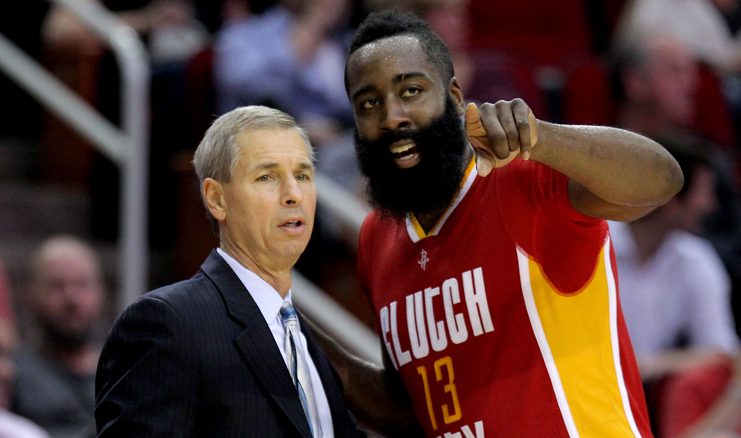 Houston won 73% of its games in Bzdelik’s two seasons on D’Antoni’s staff. Prior to joining the Rockets, Bzdelik spent two seasons as an assistant coach with Memphis. During that stretch, the Grizzlies allowed the fifth fewest points of any team in the league. Following a six-year run as an assistant coach on Wes Unseld’s staff in Washington from 1988-1994, Bzdelik spent a season as a scout for Hall of Fame coach Pat Riley in New York before joining Riley’s coaching staff in Miami. The Heat made the playoffs in all six of Bzdelik’s seasons with the team from 1995-96 through 2000-01. In 2002-03, Bzdelik was named head coach of Denver and in his second season, he guided the Nuggets to their first playoff appearance in nine years. Bzdelik also served as a head coach on the collegiate level for the University of Maryland, Baltimore County (1986-88), Air Force (2005-07), Colorado (2007-10), and Wake Forest (2010-14).